Soundings: Lucas Artists Composer Fellows, presented in partnership with local start up Detour, is a curated guided walk that brings the concert stage to the great outdoors and invites visitors to explore Montalvo’s grounds while listening to a diverse range of sonic work by Lucas Artist Composer Fellows and their collaborators. 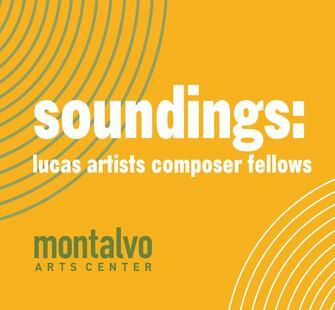 Soundings features works by contemporary composers who have been lauded for their innovative approach to music and sound. This new digital platform allows for synced listening, where visitors can enjoy this immersive auditory experience with friends and family on their personal smart phones. To experience the tour, download the app Detour to your smartphone and follow the directions from the audio tour guide. You will hear introductions from each composer and be guided to different locations on the grounds in order to listen to their works. When you arrive on site, open the app and search for Soundings, then choose either "Volume 1" or "Volume 2" (they are not sequential, so you can listen to either or both in any order). Find your way to the Box Office to begin your tour. Earphones are recommended. Download the app for iPhone here.